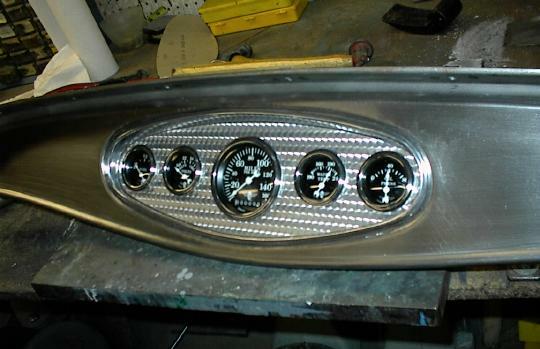 Here's the panel set in the dash. The amount of inset is equal to the ridge on the panel. It's just the right amount.